I promised in my first post on the Story of my Tagore Book that I would say ‘more … later’ about the issue of my having been brought up atheist, and how that might seem to make me an unlikely follower of Rabindranath Tagore, the ‘poet-seer’, who wrote about religion and spirituality, and mentioned or addressed ‘God’ in some of his poems, songs and essays. I came to Tagore’s religious ideas a very long way round, in a journey taking me over a quarter of a century to travel: beginning when I was 47 to now at 74 – a nice symmetry. If I had known at the beginning that Tagore was seen by many as an Indian mystic, most famous for a collection of devotional song lyrics, I would have been put off completely. 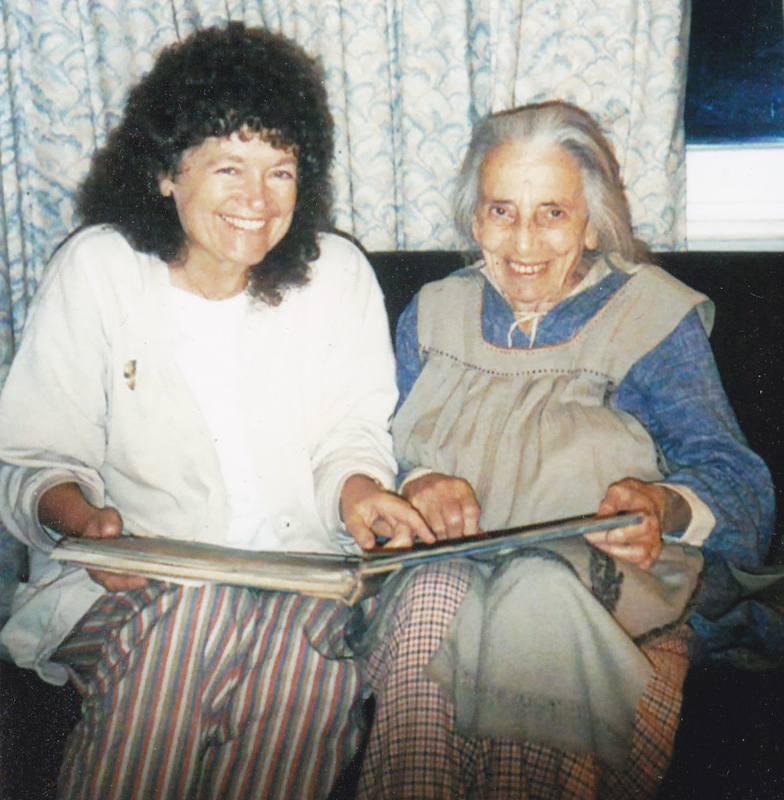 But I was first told of Tagore as a ‘deep ecologist’, from the lips of Marjorie Sykes, who had known and worked with him in the last years of his life. In the closing days of editing this essay, I read two books: Tagore’s The Religion of Man (1931), which I had not been drawn to because its title is off-putting to an atheist, and Upton Sinclair’s The Jungle (1906). Tagore’s correspondence with Sinclair is referred to in Selected Letters, with the editors saying that ‘Tagore could never have adopted socialism as a creed’ but shared Sinclair’s ‘repugnance for commercialism and the dehumanising effect of machines.’ Oddly enough, these two books by Tagore and Sinclair share a weakness, in that they are both rich, in their different ways, but uni-dimensional, so a reader must accept or reject them wholesale. In contrast, the power of Tagore’s prose fiction is its hidden depths, and insights one has sought out and found for oneself are life-changing, and have global implications. Two years later I embarked on research for my doctorate at Exeter University, and really plunged deeply into Tagore’s ideas, basing my thesis on a contextual study of Tagore’s books of lecture texts from his travels in the West from 1912 to 1930. That was not the end of my own journey – if indeed it will ever end. But I can mark my acceptance of the importance of Tagore’s religious ideas with the article I wrote for the first issue of a new journal called Gitanjali and Beyond, entitled ‘Understanding Rabindranath Tagore’s Spirituality as Deep Ecology, Deep Anthropology and Political Theology’. A well-known biography of Tagore is sub-titled ‘the myriad-minded man’, an epithet (originally applied to Shakespeare) which had been used of Tagore in the address when he was awarded an honorary doctorate by Oxford University. The joy of Tagore’s ‘myriad-mindedness’ is that it allows one to take an interest in some part of Tagore’s works and ideas, and ignore other parts, without missing out on the whole person: the thinker, writer and activist. It is appropriate to use the word ‘joy’ to refer to that special freedom in Tagore studies because Tagore used the experience of ‘joy’ (‘ananda’ in Bengali) as a test of rightness and truth. Coincidentally, I just turned around in my swivelling chair to glance at an article on Tagore which I had recently downloaded onto my laptop (I usually write on a PC unconnected to the internet, to avoid distractions) and what caught my eye was the statement ‘Tagore considered imagination and emotion to be his guiding stars’, contrasted with a contemporary of his who ‘celebrated reason and logic’. I have the greatest respect for the author of this piece, but I disagree with the idea that Tagore’s propensity to use ‘florid and figurative language’ in order to ‘arouse the reader’s imagination and passion’ means that he is incapable of logical thought. Indeed, it is those (like my father) who insist on mechanistic models to explain everything from the origin of the universe, to the evolution of life and the experience of consciousness and free will, who are limited in their thinking. This is a complex subject which I go into in my book, Tagore Speaks (http://tagoreanworld.co.uk/?page_id=152). Even if it is a tease to say this without explanation, I think it is valid to say that Tagore was himself an atheist, who believed in a God who is us, humanity, past, present and future, for better or worse. His logic – exemplified in his famous discussion of Truth with Albert Einstein – shows that if there is anything beyond human experience it might as well not exist. Tagore’s logic also shows that the individual self and the universal self are the same. We are, I am, you are, God. I may have got carried away with that last bit. I often think writing is best done over two days, coming back after ‘sleeping on it’, and I did wake up this morning (10 July ’16) worrying about what I’d ended up writing the day before. Using the word ‘God’ is problematic – an understatement, of course. There has been a fashion amongst well-meaning people to prefer the word ‘spirituality’ to ‘religion’, with its connection with established bodies setting rules about beliefs and practices. But I’m more uncomfortable with the word ‘spirituality’, which has little meaning and resonance for me, when for some people it stands alone as uniquely meaningful, inspiring, wonderful. Recently, I met and talked with Stephan Harding, Resident Ecologist and MSc Coordinator at Schumacher College, and author of Animate Earth, his wonderful book on deep ecology. I was intrigued when Stephan declared that he dislikes the word ‘spirituality’, evidently for the way it distracts people from addressing problems and issues – the ‘hippy woo-woo’ sense of it. I understand the idea and meaning of religion in the original sense of something that ties (back) together. A religion is a set of beliefs and practices which acts as a glue to stick together members of communities and wider societies. 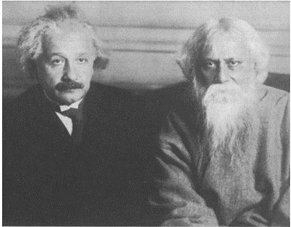 Tagore’s preference was for ‘creative unity’ and ‘unity in diversity’, a form of community cohesion which relies, not on conformity, and goes further and deeper than tolerance, into delight at variety and creativity. Despite shunning rigid institutions, including organised religions, Tagore was relaxed about using the words ‘religion’ or ‘God’. As a poet he would use whatever words were useful for the thought or feeling he was expressing. There is a well-know anecdote about Tagore. He was asked to name his greatest intellectual weakness and he answered ‘inconsistency’. And his greatest intellectual strength? The same. When you know Tagore well you find that he is not inconsistent, he just seems to be so, some of the time, in some contexts. This entry was posted in anthropology, deep ecology, Rabindranath Tagore, religion, social reform. Bookmark the permalink. It seems like, I may be mistaken for I’m definitely not a very intellectual person, but that Tagore’s views and beliefs were much influenced by the Upanishads. For the Upanishads are those works of ancient Hinduism, that essentially describe God and spirituality as being part of the same system – humanity and human consciousness. One incomplete without the other. Perhaps my interpretation of both the Upanishads and Tagore are flawed, but I see Tagore as a creative genius, a treasure trove of wisdom and posessing a complex mixture of agnostic, atheist and spiritual mentalities – who himself was perhaps unable to truly deduce himself or reach the end of his own journey. Great comment! Thank you! I agree with your interpretation. It would please me enormously if you would order a copy of my book: (http://tagoreanworld.co.uk/?page_id=152) for only the cost of international postage. This was my effort to turn my academic thesis into a book for the general reader, the intelliegnt and curious but ‘not very intellectual person’, but I failed! Tagore experts complain about the lack of detailed footnotes in my book – which were removed deliberately to make an easy read. Those (many in UK) who’ve never heard of Tagore see it as too specialised. I did have one review by someone who understood: https://tagoreanworld.wordpress.com/2017/04/29/review-of-tagore-speaks-to-the-twenty-first-century-in-hindol-bilingual-magazine/.